Restaurants in Venice deserve the highest praise. Each institution may please its guests by various specialties and friendly atmosphere. Harrys Bar is one of the most popular restaurants dedicated to national cuisine. Its opening took place more than a hundred years ago. During its long history the restaurant has been visited by many famous attendants. Even Hemingway liked visiting this wonderful place. Vini da Gigio Restaurant offers its visitors to try wide choice of meat dishes and seafood. Despite the popularity of the restaurant the rates here are quite attractive. The restaurant named Madonna is located not far from the fish market Rialto. This well-known restaurant serves delicious Venetian dishes. You will surely need to book a table beforehand if you want to visit this place. Continue tasting national dishes in a restaurant named Locanda Montin. This place is distinguished by original interior and diverse menu. Autoespresso is considered the most expensive and prestigious restaurant in the city. Its menu contains only rare delicacies and chef specialties, as well as elite wines. Fans of fish dishes will surely like a cozy restaurant named Fiore. In addition to unusual culinary delights this place offers its guests a diverse cultural program. Traditional polenta is the most popular garnish to meat. Cream soups are one more important peculiarity of the national cuisine of the region. It is possible to try cream soups made of crisp-head lettuce, artichokes, and green peas. Needless to say, such soups are incredibly popular with vegetarians. Each national cuisine restaurant in Venice will surely offer a great variety of ravioli. Local chefs like to be creative when it comes to cooking ravioli, so there are hundreds of different fillings for this traditional dish. Ravioli with different varieties of cheese and potatoes have become a classic dish, but there are more unusual kinds, such as ravioli with seafood and even ravioli with chocolate. Travelers planning to sample the most popular wine of the region should also try the most popular snack that perfectly complements the drink, Cicchetti. These small snacks are available in the vast majority of local restaurants and cafes. Cicchetti looks like small tapas. In Venice, they are traditionally served together with not only wine but also cocktails. There are quite simple kinds of this snack that are inexpensive and creative ones with rare delicacies and expensive ingredients. Besides Carpaccio, local cuisine can offer many interesting meat delicacies. For example, various dishes made of the beef liver are very popular in Venice. Local chefs are incredibly skilled in cooking this sophisticated meat product. It is safe to say that they have reached proficiency of international level in cooking liver. Fegato Alla Veneziana contains liver cooked in white wine and onion that is added during the cooking process. The ready meal is usually decorated with cheese and fresh greens. The meat cooked this way is incredibly tender but it doesn’t lose its original taste. Antipasti is a very unusual dish that will certainly attract all fans of meat and seafood. The term Antipasti usually refers to different variants of smoked and jerked snacks that are usually served on a big plate together with fresh vegetables. Each restaurant can offer its own variation of the dish. As a rule, Antipasti includes slices of smoked sausage, bacon, mussels, and other seafood. Moleche is another interesting national dish that is better to try in Venice. Moleche contains fried soft shell carbs that are usually served together with various garnishes and sauces. The dish is cooked in a simple and quite a fast way, but that doesn’t make it less delicious. Ice cream remains the most popular dessert in Venice. Visitors will easily find various flavors and types of ice cream in the city. For example, fruit ice is used to make Granita. It is a perfect choice for everyone who wants to refresh on a hot day. Sorbetto is an airy fruit ice cream with a distinct citrus or mint taste. In Venice, travelers can also try a special kind of cream ice that is called Semifreddo. Other popular Venetians desserts include Baicoli biscuits, Tiramisu, and various pancakes with different fillings. This guide to cuisine and restauraunt in Venice is protected by the copyright law. You can re-publish this content with mandatory attribution: direct and active hyperlink to www.orangesmile.com. Travel notes on best cuisine and restaurants of Venice (Italy) on OrangeSmile.com. 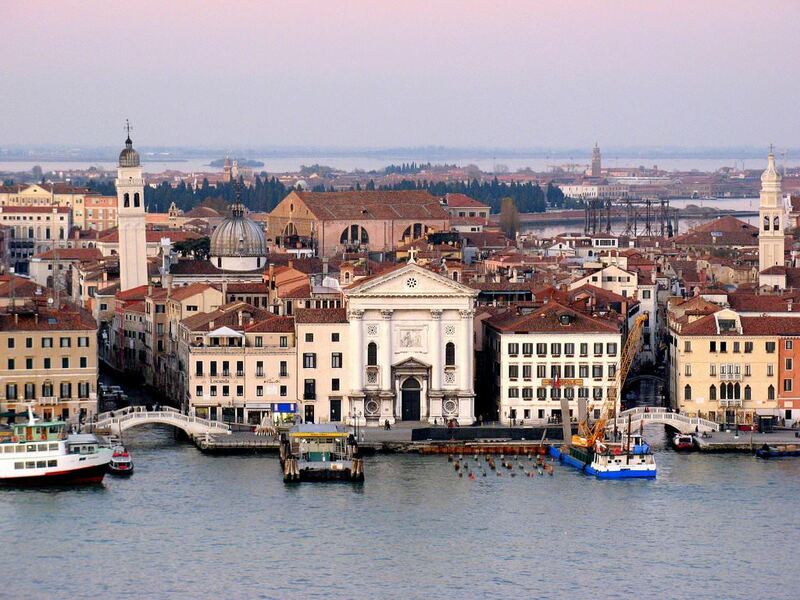 Famous recipes and traditional dishes and courses in Venice restaurants. Where to eat - our recommendations on popular places in Venice, where you can taste delicious meal and also spend a good time with your friends.